Excerpt from The Moon, McMoons, and the Moon Museum, 2016. Single channel video, 47 mins 11 secs. About: The Moon, McMoons', and the Moon Museum, 2016. Single channel video, 47mins 11 seconds. Excerpt from The Moon, McMoons, and the Moon Museum, 2016. Single channel video, 47mins 11 seconds. Excerpt of The Moon, McMoons, and The Moon Museum, 2016. About: Un/natural History: Drowning Captiva. Single channel video, 47mins 11 seconds. Excerpt from Un/natural History: Drowning Captiva, 2014. Single channel video, 35mins. 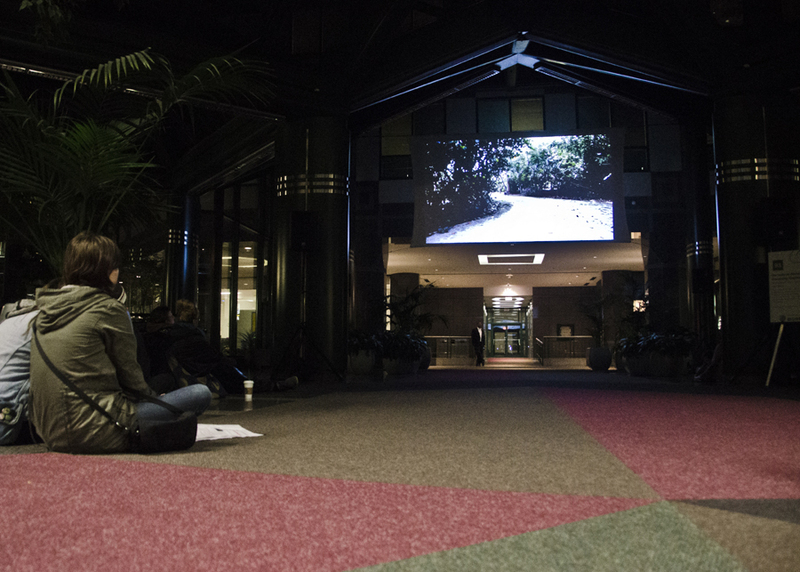 Installation shot at Nuit Blanche, Toronto of Un/natural History: Drowning Captiva, 2014. Single channel video, 35mins. Single channel HDV, 19 mins.